I bought these for fun. I carry a few on me all the time. When I see someone does something great I reward a total stranger with this coin. A kid held a door for me at the store. I gave her one. Should have seen a little confusion but the shine like a Medal and big B symbol won her heart. Its only a buck. I would pay a lot more for that smile. 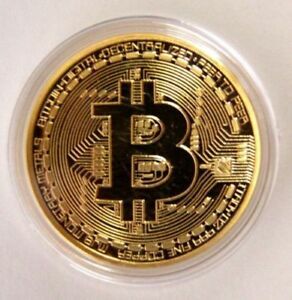 This is a beautiful coin for the money, looks and feels like gold. I always keep one in my pocket for a good person doing a good dead for someone or some thing. To reward them. I just hand them the coin and they light up. It was only a dollar so you can't go wrong. They look really decent and mine had some rough edge that i easily rubbed off.. It makes a good piece to put on display and never touch it because I'm sure finger oils will cause it to corrode eventually. I would buy again.